Marketing your dental practice is key to attracting new patients but it’s also important to do so ethically and to follow the law. The ADA has several resources that can help new and veteran dentists understand not only the basics of marketing and advertising but how to promote their practices within the law. 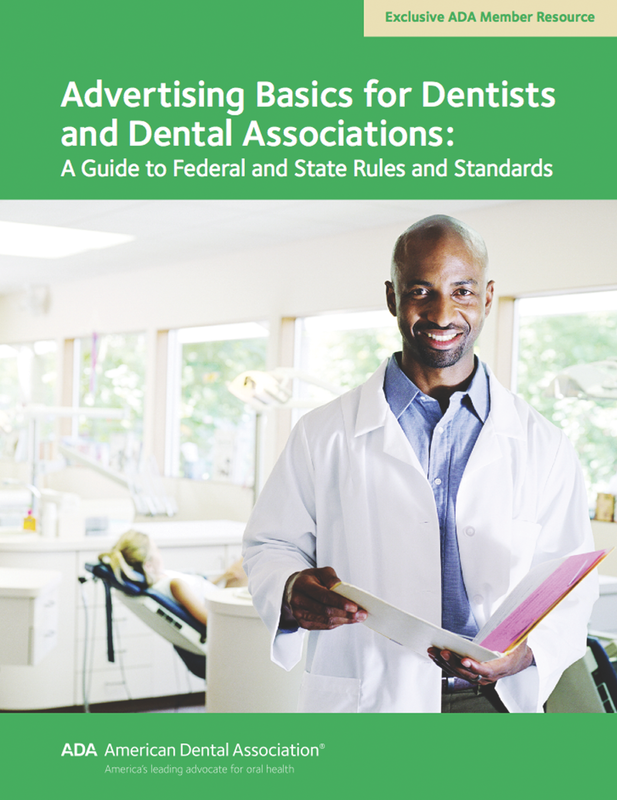 One such publication, “Advertising Basics for Dentists and Dental Associations: A Guide to Federal and State Rules and Standards,” is an overview of federal and advertising-related laws and regulations. It’s also a primer that includes links to useful electronic resources; discusses state advertising regulations; and also has a section on codes of ethics in dentistry. Members can read the online publication here . The publication emphasizes that while dentists can advertise their practice, they shouldn’t solicit patients in any form of communication that’s false or misleading. Dentists can find additional legal and ethical resources on ADA.org. Knowing the basics of advertising laws also helps dentists know when to seek legal advice. Those with more questions or who need clarification can contact the ADA Division of Legal Affairs at legaldivision@ada.org. The ADA also offers “Internal Marketing: The Key to Dental Practice Success,” through its ADA Catalog. Chapters discuss cultivating referrals, developing practice newsletters and websites and utilizing social networking profitably and responsibly. The 122-page book (P080) costs $49.95 for members and 74.95 for nonmembers; the e-book (P080D) is $39.95 for members and $59.95 for nonmembers; and the print and e-book bundle is $59.95 for members and $84.95 for nonmembers. All can be purchased on ADACatalog.org. Stay tuned for The ADA Practical Guide to Internet Marketing, coming in January. Thanks for this timely article on building our dental practice ethically. We are actively promoting our business and the resources you suggest are much appreciated. We will use them to help us grow in and ethical way. One of the elements that will determine the success of your marketing campaign is the copy. This article reiterates the importance of content creation within the rules, which I believe is one of the key concepts in achieving satisfactory results. Seeking advice from an expert content marketer will be a great help. Great article you have shared. Thank you very much for such a complete guide. Buying a dental practice can be one of the most important milestones in a dentist’s career. Good sharing.